I have had many conversations both online and in person, male and female, about Valentine’s Day. For many women, this is yet another reminder of their single status. I have heard men that are happily married say that ‘everyday is like Valentine’s Day’ or they have been married too long to care about such things. Some men feel pressured to do something but don’t know what that something is. Valentine’s Day is not exempt from the list of holidays and observances that we hypocritically pick apart limb by limb unless we are personally benefiting. On a discussion board, a young, educated, married, black male posted a topic in which he posed the question: why is Valentine’s Day dedicated more to the woman than the man? He framed his argument by saying that since there are more single ladies than men, women should be doing whatever they can, including buying Valentine’s Day gifts, for their man. This was somehow accepted as a solid argument. Some defended him and his ideas and others put him on defense. I chose to keep my distance from the thread and go When I woke up the next morning, I realized why this post bothered me so much. It hurt my feelings. It’s that simple. I reread the post and all the commentary about women not being able to find or keep a man or Valentine, how there were more single women, and so forth and I discovered that in every usage of the word ‘women’ I could see the invisible word ‘black’ in front. When we start talking about statistics and women living single, we are talking about black women. The marriage rate for black women has decreased by 34%, black women, at a never been married rate of 42%, are twice as likely to be single when compared to their white female counterparts. That being said, you can see why it is logical for someone to think that there is something wrong with black women. There are many reasons as to why black women are single (such as socio-economic status), but lack of intelligent, professional, beautiful, single, brown ladies is not one of these reasons. Perhaps this new advantage black men have over black women with the ratio of single black women and the small pool of single black men has gone to their head? Maybe the idea that all races of women are attracted to black men and, seeing that men are not traditionally the culture bearers, they can date outside their race easier makes them feel like a precious endangered species? Or maybe not? Maybe this disregard and devaluing of black women is an old song that continues to replay in our heads. Recently, a white writer friend questioned a word I used in a poem on the basis of sexism. She came up to me as we were leaving to tell me why I should use humankind instead of mankind, that she was a feminist, and I should be able to relate because it was similar to racism. I used my remaining respect for her to find the willpower to keep my mouth shut and walk away. Black women were strong, self-sufficient, and took care of our families while nursing our white sisters in sickness and her children in health for hundreds of years in this country. We have been loyal Americans and fearless feminists out of practicality before it was about a choice. We have done everything that was necessary to take care of our families and communities. But now, without the validation and protection of husbands and fathers – we are cast as baby mommas, independent, aggressive women. Now, because a sample of black men are doing what they are supposed to do, we should compete for them? If a black man contributes in his community the way in which we have for years, we need to do dedicate our lives to attracting and retaining this man by any means necessary? Whatever, man. Don’t get me wrong. I empathize with the feminist movement and, at its core, I subscribe to this belief set. I just want to be able to be a feminist and still be revered like women in other cultures. As a Christian and a romantic, I can’t help but support interracial dating and marriage. I just don’t want to be compared to these other women or rated on a system that appreciates aesthetics associated with other racial groups or depreciates features that are afrocentric. I understand the discrimination and constraints that have restricted movement and rate of advancement for black men. But, when do we get a little bit of compassion reciprocated? For a day…maybe this Valentine’s Day…could we show appreciation to one black woman who has done something for you in your life? If not a lover, then maybe an ex, a friend, a coworker, a sister, a mother. For one day… What about loving what is plenty? What is true? What has been there? Who has loved you back for centuries? What about an ounce of admiration or a token of appreciation? At some point, the myth of the Independent, Strong Black Woman, has left us without our chance to be a lady. After all, roses come in black, too. 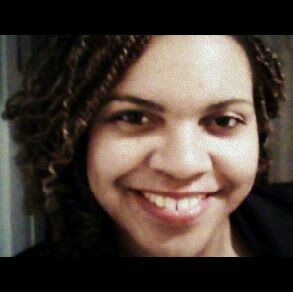 Leslie McGraw is a poet, writer, blogger, multimedia journalist and social entrepreneur living in Ann Arbor, Michigan. Leslie has created content for dozens of companies including Buyer Zone, Bounty Paper Towels, Lifescript and Gather News and is the owner of several blogs including Life by Poetry (www.lifebypoetry.tumblr.com).